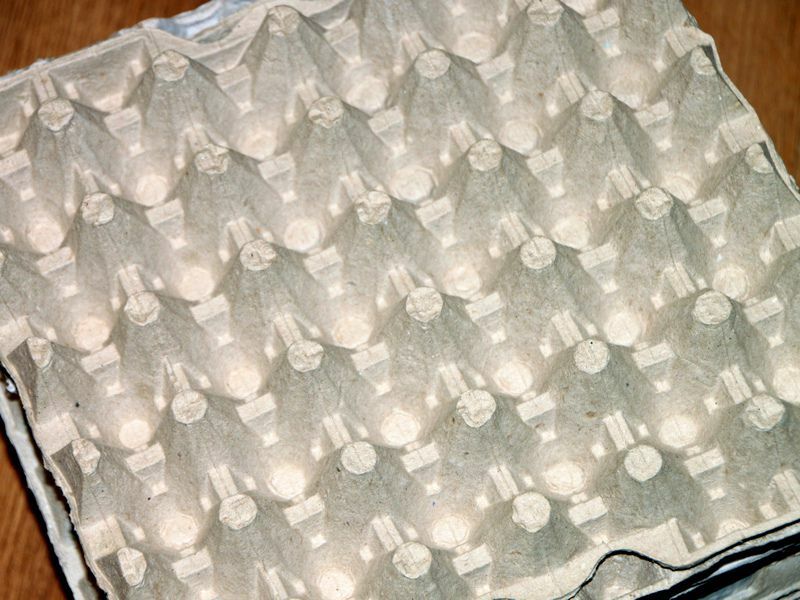 We love to craft with all sorts of recycled materials and egg cartons are a great item to reuse. This paper mache project is a great way to recycle cardboard egg cartons! Mix up a batch of this clay-like pulp to use to add extra details to your paper mache creations. Feel free to make this up ahead of time and you can store it, sealed tightly, in the refrigerator for a several days. First, tear the egg cartons into tiny pieces and put them in a large bowl. Add just enough hot tap water to completely cover them. Let them soak for several hours. After several hours of soaking, you should be able to knead your egg carton pieces and water into a mixture that resembles oatmeal. If the mixture seems too dry, add a little more hot tap water and let it set for a little while longer. If it seams too wet, pour or squeeze out some of the water. Knead it until it is fairly smooth, with as few lumps a possible. Once you are happy with how smooth your mixture is, add a couple teaspoons of salt to help retard mold. Knead it again to mix all the salt in. Once it is well mixed, squeezed out any excess water. Now add a few tablespoons of glue and mix well again. Your pulp should now be ready to use. You can now use your paper mache to make all sorts of cool items. You can make a mask, a bowl, cover a frame, or even place your new mix over a balloon to create a big hollow ball!